Everyone knows how to tie a knot or two, but do you know how to tie the most important survival knots? Learning how to tie knots is not something that happens overnight. Like most things, it takes practice…sometimes lots of practice. Focus on mastering just one survival knot at a time. Once you can pull off tying and untying the knot with your eyes closed and can teach someone else how to do it, move onto another knot. 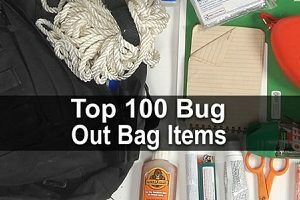 There are hundreds, if not thousands, of uses for the cordage you keep in your bug out bag. Carrying a rope with you at all times and knowing how to tie the five survival knots detailed below could very well save your life one day. If your knowledge of knots doesn’t extend past what you learned at the age five to tie your shoes, you are more likely to end up a statistic and not a survivor during an SHTF scenario. Once you’ve mastered them, these knots will only take a few seconds of work to tie properly. You could opt to spend a ton of time learning a myriad of different knots that are complicated to tie, or focus instead on these sturdy, easy release, multi-purpose survival knots instead. New to knot tying? Review the list of knot terminology and tips below before attempting to work alongside the videos, for frustration-free (alright, maybe nearly frustration free) success. When learning anything new, the terms and phrases often used by experts in video tutorials can be difficult to follow. Become familiar with a few basic knot terms to foster your ability to follow along while working with cordage and viewing the videos – and to use when you teach others how to tie survival knots, as well. The end of the cordage you hold in your hand while working on a knot is called either the running end, the working end, or the bitter end. The middle of the cordage is referred to as the body. The end of the rope you are not working with to tie the knot is called the standing end. 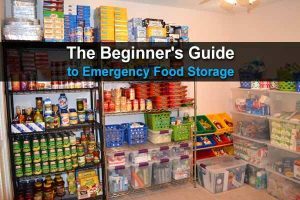 The standing end can be attached to an anchor point, like a tree stump or tarp grommet. An overhand loop is created when the working end is placed over the body. When the working end is placed under the body, an underhand loop is created. The bight portion of the cordage is created when a loose section of the cordage is not crossed over another section of cordage like noted above, but instead lays like a loop or curve of a garden hose lying on the ground. A bight shows the cordage at a 180 angle, making a U type shape. A knot turn refers to the placement of the cordage when it is positioned 360 degrees around a portion of the body area of the rope. A knot wrap simply refers to placing the cordage around a fixed object to anchor it or to create tension. The tag end or tail of the cordage references a tiny portion of the working end of the cordage that is left over after the knot is completed or around a bight. 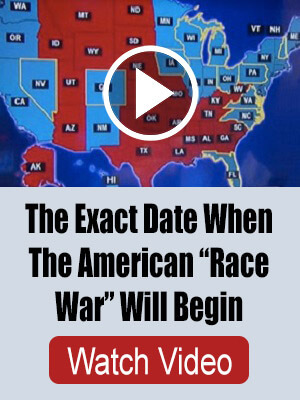 If you’re confused, just listen for these terms while watching the video and refer to the above list again. Eventually it will all make sense. Now on to the five most important survival knots. This type of knot is highly versatile. It can be used to put a loop on a knot to prevent it from seizing up on what it is tied around. A one-handed bowline knot could be a lifesaver if one end is tied to a sturdy fixed point. Many survivalists often refer to the bowline knot as the most useful knot in the world. The bowline knot is traditionally used by sailors and on small watercrafts. It can be fastened to the head of a sail, tied to a jib sheet or clew, and fastened to a halyard. For use in water rescues. To make a sturdy loop at the end of cordage before yping it around an anchoring object designed to bear heavy weight. World War II hero Desmond Doss lowered 75 injured soldiers down a steep cliff all by himself using a bowline knot to create a crude belay harness, as showcased in the movie, Hacksaw Ridge. To make a basic rock climbing harness that can wrap around the torso and legs. Doing this will require the use of a double bowline design knot. Attaching cordage to a tree to construct either an emergency shelter or a simple clothesline. Attaching rope to stakes or posts. To make a lanyard to carry tools or gear. To make a loop style handle to carry a heavy or bulky object. To tie down gear on a cargo rack or trailer. This is a rather simple knot to master. Perhaps that is why it is not only the first knot that many people learn, but also one of the most underrated knots. My firefighter officer husband and his peers use this knot quite often during emergency rescues. The threaded figure eight is a substantially strong knot. It creates a non-slip and ultra-secure loop on one end. Like firefighters, mountain climbers are exceptionally fond of the threaded figure eight. One of the reasons, in addition to its sturdy nature, that the threaded figure eight knot is so popular with climbers, firefighters, and preppers is because it is incredibly easy to inspect to make sure the simple knotting method is correct…and safe to use. Sometimes the threaded figure eight is also referred as the Flemish Bend knot. A threaded figure eight knot can be used when either rappelling or lowering goods or gear during routine work or in a potentially deadly emergency. This type of knot helps to secure a heavy and possibly shifting load. The taut-line hitch knot will allow you to adjust the tension as needed and is most frequently used to adjust the tension on guidelines on tarps or tents. The taut-line hitch knot can be exceptionally useful when the length of the rope must be adjusted, without losing complete tension, on a periodic basis while hauling, raising, or lowering either an object or person. You make the knot by rolling a hitch around the stationary part of the line after passing it through or around an anchoring object. The power cinch knot, or trucker’s hitch knot, is used to increase tension on a line that will not need to be adjusted – like with a taut line knot. Power cinch knots can be used to hold, lower, or raise heavy loads (including people) without much worry about slipping. Even though the power cinch knot is a superb survival knot to use when secure tension is necessary, it is not difficult to release in a hurry – as could become immediately important during an SHTF situation. If you are going to set up a shelter or create any kind of trunk line, the power cinch should be your go-to knot. There are several different types of tensioning knots that would be great to learn, but the power cinch can fulfill at least the vast majority of typical half hitch knots – reducing the number of knots you will have to master. The power cinch knot is a compound knot. It got its trucker’s knot nickname because of how frequently (and successfully) it has been used to firmly and quickly secure loads on either trucks or trailers. This type of tension knot basically turns the rope into a crude yet functional block and tackle. The double sheet bend, or weaver’s knot, is used to connect two pieces of cordage together. If you must join two ropes together during a survival situation, time will likely be of the essence. The double sheet bend knot will help you accomplish the task quickly without sacrificing sturdiness. The weaver’s knot is not the only knot that can be used to connect two ropes, but it is often heralded as the strongest and best knot to use, especially when dealing with cordage of differing weights and dimensions. Similar connecting knots, like the Hunter’s knot, Reef knot, or Zeppelin Bends, are only designed to be used with identical types of cordage. The double sheet bend knot, like the threaded figure eight knot, offers the ability for a speedy yet thorough safety check for accurate tying. More complicated bending knots, like the Carrick and Butterfly, are generally considered far too intricate of a knot for anyone who’s not a master to evaluate at just a glance. Weaver’s knots are not prone to jamming or locking up while being used and can be untied rapidly. This type of knot is often used when creating a guideline across a waterway, hanging food high up in a tree, increasing the length of cordage when constructing a shelter, using non-traditional and short types of material as cordage, and tying down large loads. 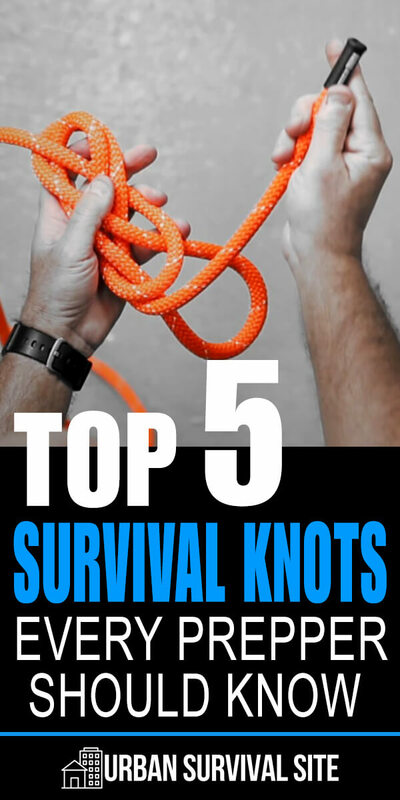 Mastering these top five survival knots won’t cost a dime but could be an invaluable skill. Can I get a book, and or video on knot tying?